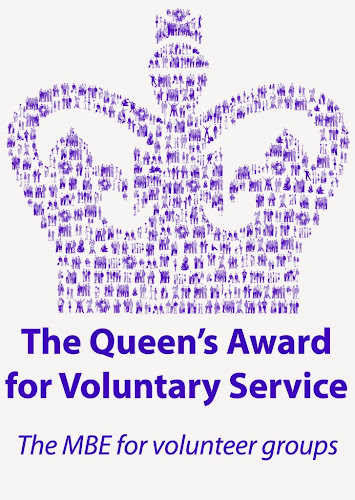 In recognition of our outstanding work in the local community (their words not mine), Her Majesty the Queen has conferred on Kerith Community Church The Queen's Award for Voluntary Service. How cool is that! As you'll see from the logo this is thought of as the voluntary organisation equivalent of an MBE. I see it as amazing recognition of all that our amazing vounteers do to bless our local community, and of the impact we're having. What is even more pleasing is that we were nominated by Bracknell Forest Council. It was officially announced this morning - you can read the London Gazzette listing here (we're on page J5). In time we'll get a certificate signed by the Queen, a crystal vase and Andy Jackson gets to go to a Buckingham Palace Garden Party! We also get to use the award logo on our website, headed notepaper etc. If you volunteer in Kerith in any capacity then please take pride in the fact that you were part of the reason we have been awarded this - well done and thank you! Let's be praying that through our service we would make the invisible God visible, and that even as this award gets announced in the local press it will result in people seeing Jesus for who he really is. That's brilliant. Well done everyone.